I got a great email the other day from Beth of diffractionFIBER, a pillow artist on Etsy. 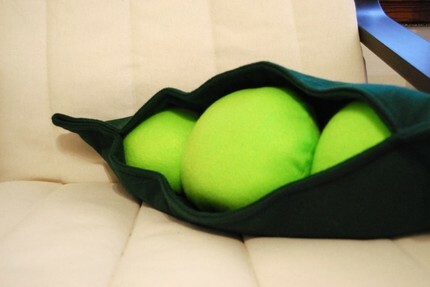 Each of her pillows are hand-made to order and are not only unique and beautiful, but they are also green. The designs are created with a recycled plastic bottle felt, helping to reduce plastic waste. 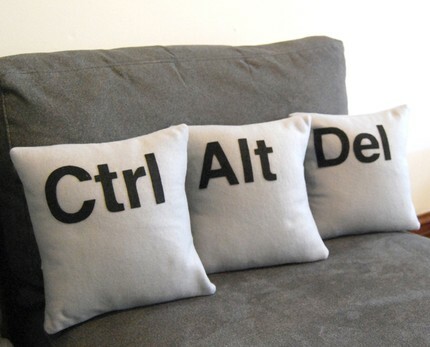 With several quirky designs, some geek pillows with your control-alt-delete keyboard buttons would look great on any techie couch. At $35.00 for many of her pillows, they won’t break the bank, and you will end up with a one-of-a-kind, unique handmade piece. 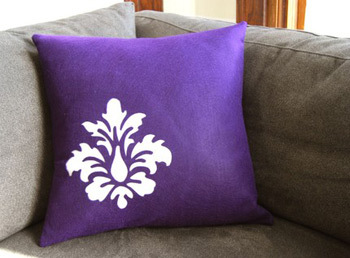 Custom orders are welcome, and if you have an idea for a pillow, she would love to create it for you. I love these designs! They are so cute and imaginative – and even good fo rthe environment….I can’t wait to get some for my sofa chair!